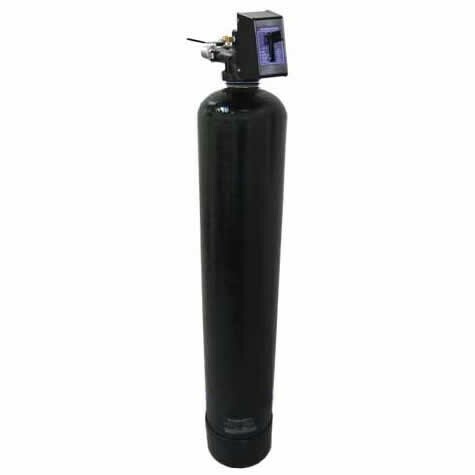 The ArsenicMaster-V is designed to specifically filter arsenic type V or AS V.
The ArsenicMaster-V is designed to specifically filter arsenic type V or AS V. Choose the appropriate size AM-V tank for your Arsenic Treatment System. Final component of the Arsenic Treatment System. Arsenic-V Master™ and Vitasalus™ are trademarks of Vitasalus, Inc.
the "Add To Basket" icon at the top of the page. Free Expedited Shipping: Shipping is expedited to occur on the same or next business day, depending on the time of day your order is received. This product is shipped by special truck carrier. If you would like to change the shipping carrier at your own cost, please contact us before ordering online. To begin your online ordering process, click on the "Customize" button (see top of page). To ensure your order does not get delayed, please note the following when checking out: Shipping is free to a business address excluding a business out of the home, farm, and/or school. For free shipping to apply, the business must have a loading dock. A $50 shipping surcharge will apply to a residential address, farms, and/or schools. If multiple systems are purchased, the $50 fee will cover all equipment shipped. These shipping terms only apply to customers in the USA mainland, excluding Hawaii and Alaska. For customers outside the USA mainland, the customer will be contacted with the final shipping total before the order is processed. but the arsenic level in the water was 160 ppb. The EPA standard is 10.We only had arsenic 5 present. We put this filter in and the level dropped to undetectable. Make sure you wait at least 3-4 days, and run some water through the filter. Great company, great service, great product. Highly recommend. You're reviewing: AM-V 6 gallon tank size 8" X 44"